Seems I’m spending it at work as a normal night. Nope, nothing new no pizza, no free candy, but I did get a dvd and cookie from the days off I was on. Baby for sale the dvd, yea I really want to have something like that. Figure got something still in the wrap? Going to gra ywhale with it. Maybe I can get something cool, intead. Got the laundry done, helped out a littl ebit with our oldest’s Xion costume from Kingdom hearts 358/2 days. Her Keyblade looks awesome, The “13” Robe/Hood setup came out great My wife did a super job indeed with it. Got the chains and hooks and the Keyblade chains placed and all of that good stuff as well. Me? I’m sitting here at work typing away on keyboard doing my job and helping people as I can. But honestly Halloween does let all types loose on the phone. Hi day off here, decided to go out back and try to get the garden done and failed. I got the tomatoes up and out and pulled the dead plants out. But at the same time I was able to get front yard cleaned up and raked, I was able to finally cut and clean the yard and redo some of the Halloween decorations as well. Our oldest wants to dye her hair black for her Halloween costume. She’s going as Xion from KH 358/2 days and even made her own keyblade with her grandmother’s help. (HEY I work ok…. Sue me) we also got the garage finally cleared out of the computer stuff there was inside as well. Including that HUGE HP laser printer as well. Got to jet hitting the Borderlands as we speak. Hey, how you all doing? 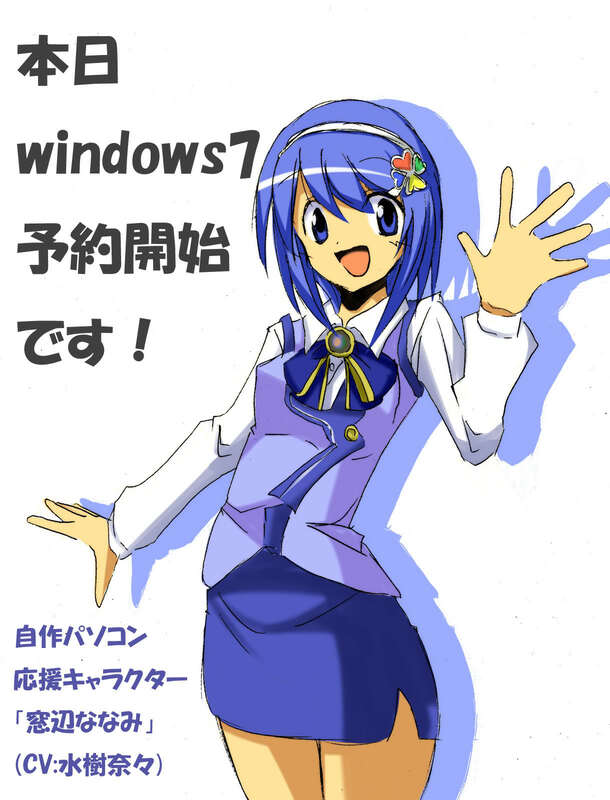 Enjoying the windows 7 goodness yet? I am and The Nana theme as well. But to add to the wnder of that theme ? I added The Anime System Admin Gadget and a few others at anime theme dot com. Seems you can have some pretty fun times with it as well. It’s cool and I recommend it to every otaku out there as well. It works well in Xp, Vista and Win 7, not sure about windows 2k. But seriously if you love anime as much as I do ? Give the site a try and alive as well. You can even get a @animetheme.com email too if you look carefully enough as well. I got mine. Yes I Squee’ed like a lil girl! Because borderlands is out and Once home after work I shall proceed to log into Steam and start dueling and pwning n00bs. Question is will Mimzi be around to help me out in the co-op? I do hope so, afterall I did explain how to reinstall her games on steam after re downloading and installing the steam client.